Enterprise Architecting the modern digital business Digital Digital Marketing Social media Please do not reply to this email; appropriate in direct action marketing? Please do not reply to this email; appropriate in direct action marketing? 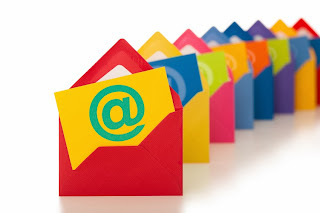 Everyday I come across lots of email marketing notes from all the organisations where I have signed up to be notified on promotions, offers and any sense making announcements. I wonder, isn't that a golden opportunity for a up-sell? The goose has just given its contact details, make the most of it. Wonder, what happens next? Instead of pursuing the customer for up sell over up sell, all that the organisations do it just keep the chatter going, spam them. Isn't it fair to ask all these marketing functions of these organisations, is social media strategy to keep the chatter going in the digital world and not make an impact on the customer they are reaching out, engaging them for a direct response? Like, assume I receive a mail, scroll down and hit the delete button. Wonder, how many signed up folks do this all the time? At the first place they sign up hoping there is some use to email notifications and later look for that unsubscribe link at the bottom. Call it a missed opportunity? Almost all the marketing emails one receives has a disclaimer at the top, please do not reply to this mail, it will go unanswered. How appropriate? I feel, having the customer write back with his views, opinions or that fact acknowledging is a fresh move and a great start for engaging the customer. It's not about the chatter to keep feeding emails, but engagement. Call for some direct action. Invest time and strategise how to engage them to understand the customer needs. Think for it. Have a reachable mail back option. Bring in some live chat. When a customer lands at a webpage, its not just the SEO that matters but the whole cycle of sales management. Having a CRM at the back end does not suffice in the digital world where retail purchases are made online. Have a chat feature to capture that valuable information about the customer that landed on your page looking for a purchase and feed that into the CRM to drive insights and strategise the sales plans. Sounds fine? Brands are researched and discovered on mobile, Hence, link the business strategy to the online strategy to the digital strategy. Getting all the pieces together is the key to keep that eyeballs discovering more about the brand and yes, have a simple and effective mobile strategy. Seals it? It's imperative in todays digital organisations to keep all functions of the organisation well oiled and linked to business - digital strategy. Getting to know your customers is having the magic wand. Doesn't it ?